Europe's debt crisis is expect to slow an expected recovery of new-car sales. *The acronym PIGS or PIIGS was coined by the financial industry earlier in the decade to refer to the economies of Portugal, Italy, Greece and Spain with high sovereign debt and big government deficits. Ireland was added later. European auto executives and industry watchers say the fallout from Europe's debt crisis could have negative and positive effects on the industry. The European Union announced a 750 billion euro ($950 billion) bailout for indebted nations on May 9 after borrowing costs surged in countries such as Greece and Portugal. 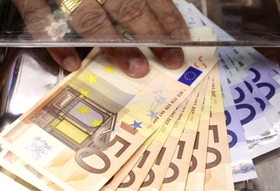 The crisis has weakened the value of euro and caused stock markets to fall. It also has led to the expectation that countries throughout Europe will have to take tough steps to reduce their deficits that will hurt consumer confidence for years and delay an anticipated recovery for the region's new-car sales. On the bright side, Griffiths and other analysts say the bailout could keep finance rates low, which would benefit automakers desperate to avoid another collapse in new-car sales. Renault-Nissan CEO Carlos Ghosn said last week that he was not worried about a serious long-term backlash from the debt problems in countries such as Greece and Portugal. "I don't think that it will threaten the recovery, but it risks slowing it down. That is, perhaps the growth rates that we could have hoped for in the coming years risk being a little lower given the uncertainty," Ghosn said. Peter Kelly, a UK-based senior director of Europe at J.D. Power Automotive Forecasting, agrees with Ghosn. Based on the problems in Greece and other countries, J.D. Power does not see a true recovery for the western Europe's new-car sales starting until the second half of 2011. That is a half year later than originally expected. The consultancy expects 2010 new-car sales to be down 8 percent to 12.5 million units and flat in 2011. J.D. Power also has lengthened the timeframe it believes it will take for a number of markets to recover to pre-crisis new-car sales level seen in 2007. “Some countries will take many years to recover, as higher taxes and lower government spending will take a toll on the consumer,” Kelly said. J.D. Power anticipates that new-car sales in Greece will not return to pre-crisis 2007 levels until 2018. It expects the same for Spain while Ireland will take until 2019, the UK until 2017 and Italy until 2016, according to Kelly. Philippe Houchois, a London-base auto analyst at UBS, says that even without Europe's sovereign-debt crisis demand for new cars would have been subdued for the next two to three years. “We were headed toward a period of slow to no growth in gross domestic product, exacerbated in the case of car sales by the fact that, unlike previous downturns, this time incentives came early to avoid a downturn rather than help a recovery from a trough,” Houchois said. On a positive note, Houchois said that the availability of auto financing has not deteriorated in Europe because so few people have defaulted on their current loans. If the four markets suffer steep declines in new-car sales this year, the automakers that would suffer most would be Volkswagen AG (including the VW, Audi, Skoda, Seat brands) PSA/Peugeot-Citroen SA and Renault SA with its Japanese alliance partner Nissan Motor Co.
“VW Group had 21 percent combined share of the Spanish, Portuguese, Greek and Irish markets in the past three years, PSA 15 percent and Renault-Nissan 12 percent,” Kelly said. Ford Motor Co. (Ford and Volvo brands), General Motors Co. (Opel/Vauxhall and Chevrolet) and Toyota Motor Corp (Toyota and Lexus) would suffer less because each has a combined market share of 7 percent to 10 percent in the four markets.